Earthquakes, fuel strikes and the usual vacuous announcements about Everest have been dominating the news agenda about Nepal over the last few weeks and months. It’s hardly surprising that a seemingly obscure directive from Nepal’s tourism ministry to its principal mountaineering organisation has largely gone unnoticed. But if you’re interested in trekking and mountaineering in Nepal then it’s worth knowing about, because at a time when Nepal desperately needs tourists to help rebuild its economy after last April’s earthquake and the current border blockade, it looks like its government is about to make things harder for them. It has also deprived one of the country’s most active tourism bodies of a significant part of its budget. Here’s the directive in full. It may not make much sense to you to begin with, but if you read on then I will explain. I have Dave from The Longest Way Home to thank for drawing my attention to it, a backpacker and travel blogger who spends a great deal of time in Nepal, and whose blog and Twitter feed is a mine of useful information about the current situation in the country from the perspective of a western tourist. 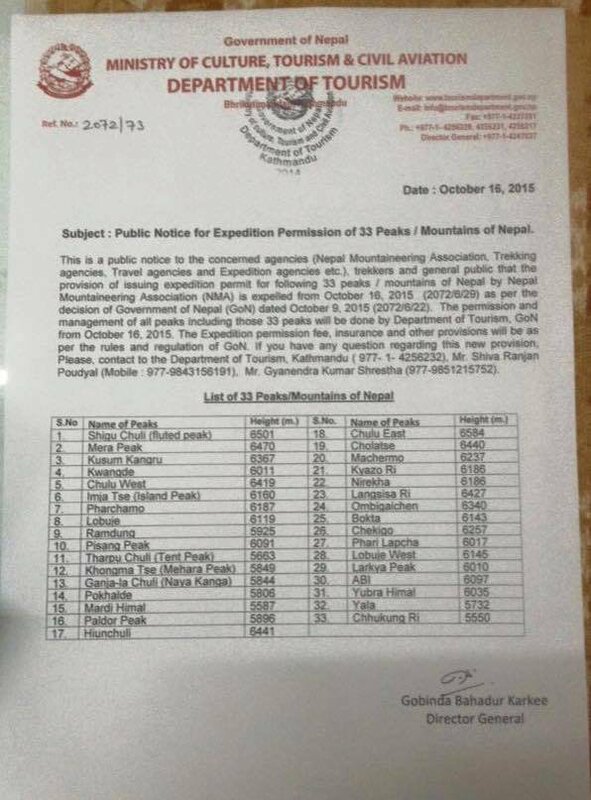 The notice is announcing a transfer of management of the 33 mountains in Nepal classified as trekking peaks from the Nepal Mountaineering Association (NMA) to the Department of Tourism (DoT). 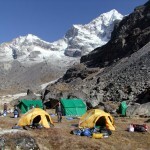 Previously permit fees and paperwork for expeditions to these 33 peaks were managed by the NMA, a non-governmental organisation whose remit is to promote mountaineering and other mountain activities in Nepal. Now they will be managed by the government of Nepal itself. This may seem like a trivial change, but it could have a significant impact on mountain tourism. There is no true freedom of the hills for mountaineers in Nepal. It has never been possible to simply turn up and climb a mountain; it has always been necessary to apply in advance, complete paperwork and pay fees before being granted permission. But just how much red tape is required depends on whether the mountain you intend to climb is classified as an expedition peak (managed by the government) or a trekking peak (managed by the NMA – or at least until now). Rules and regulations frequently change, but let’s have a look at some of the things that are involved if you want to go mountaineering in Nepal. As you can see, expedition peaks require many weeks of planning and attendance in person at the Ministry of Tourism. Paperwork typically results in a file big enough to wedge a door open. Permit fees are generally much higher, and the requirement to hire a government liaison officer is a blatant example of corruption. 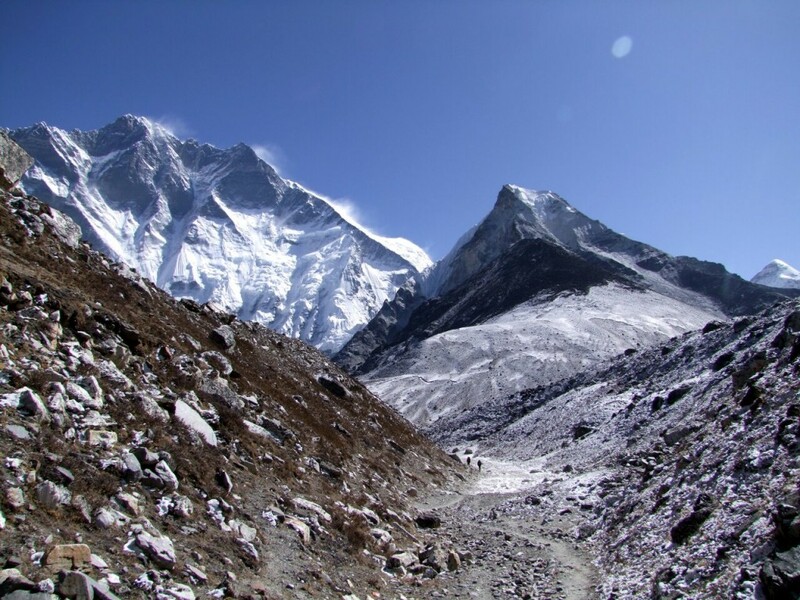 Will Island Peak (right) become as difficult to obtain permission to climb as Lhotse (left)? The original purpose of a liaison officer was to ease communication, help travellers adhere to the local customs, and generally ensure the smooth transport of a foreign expedition through areas where locals may never have seen westerners before. They have become an anachronism. All of these jobs can now be shared by a sirdar and experienced western leader. More notably liaison officers have become like the crew of the Marie Celeste. 95% of them simply don’t bother showing up for work, but take their fee nevertheless. While the requirement to hire a sirdar and pay staff according to an official scale is reasonable, all of these fees stack up and mean that it’s difficult, if not impossible to organise a lightweight expedition to an expedition peak. Enter the trekking peak. The first 18 were officially designated in 1978, but the name trekking is something of a misnomer. It refers to the paperwork rather than their technical difficulty, because they can be climbed with little more than a trekking permit. None of them are walk-ups (though some operators like to claim the easier ones are). Even the easy routes require basic climbing skills. All of the peaks have serious technical routes, many of which are still unclimbed. 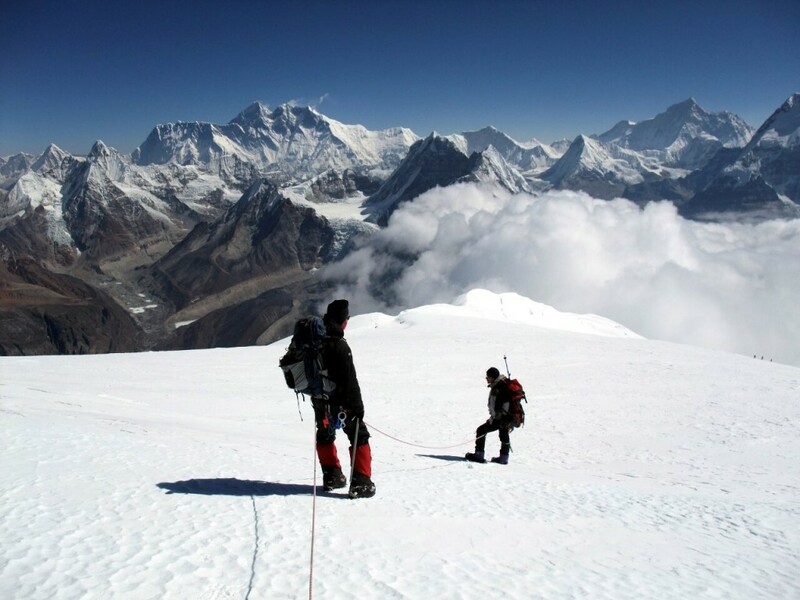 They include some of Nepal’s most popular beginner’s peaks, such as Mera Peak, Island Peak, Lobuje East, Pachermo and Chulu Far East; and they include peaks like Kusum Kanguru and Cholatse which have serious technical difficulties even on their most straightforward routes. Some of my favourite expeditions anywhere in the world have been to Nepal’s trekking peaks; I have enjoyed them every bit as much as the 8000m peaks, because they invariably involve a three or four week trek among grand scenery which changes every day, with a day or two of alpine climbing to get to the summits. Mera Peak provided one of my earliest introductions to mountaineering; I continue to enjoy this style of expedition even now, and I believe I will long after I’m done with climbing the 8000ers. It’s a style of expedition well within the reach of adventurous trekkers, but if the Nepalese authorities make it more difficult to obtain permits then many will be put off. But it’s not just people like me, who at heart are hill walkers rather than climbers, for whom the trekking peaks are attractive. Their lower altitude of 5500m to 6500m (relatively speaking in a country with plenty of 7000m and 8000m giants) means that less acclimatisation is required, and they are more open to alpine-style ascents. Alpinists who like to base themselves in a small area and bag a clutch of peaks over a number of days, can do this in the Annapurna and Khumbu regions because there are many trekking peaks close together. But this would be an impossibility with expedition peaks, where the fees and paperwork are prohibitive. 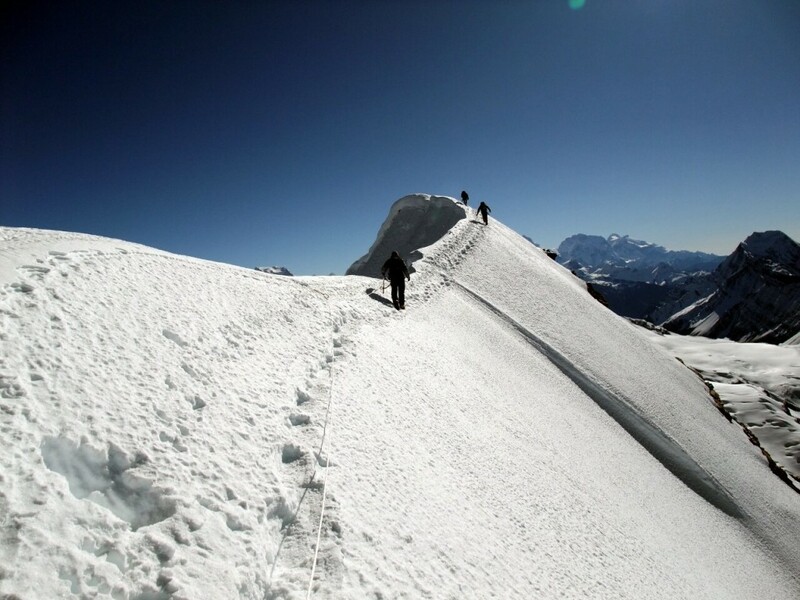 Nearly all of the trekking peaks also have difficult and unclimbed routes. Trekkers and mountaineers will not be the only losers if trekking peaks become expedition peaks. More significant – and ultimately more damaging – is that two-thirds of the permit fee for trekking peaks goes into the NMA’s coffers (with the remaining third going to the government). By taking away this source of income the government has at a stroke removed up to half a million USD from the NMA’s annual budget. So why have the Nepalese authorities changed the rules? According to an article in the Himalayan Times, the government made this move because of “serious concern about the transparency of millions of rupees”. But this is a bit like Rupert Murdoch writing to his local paper to say there’s too much rubbish in the media, or David Cameron writing to his local council complaining about cuts to public services (hang on, that actually did happen). There is no reason to believe the money obtained from permit fees will be used more appropriately in the hands of government than the NMA, and many reasons to believe precisely the opposite. In fact, it’s hard to avoid the conclusion this is just another way for government officials to get their grubby paws on more tourist cash at a time when fewer tourists are visiting. The Himalayan Times article also describes the NMA’s management of trekking peaks as a monopoly, but this is a strange word to use in this context. It’s not going to be any less of a monopoly in the hands of government, and if competition is the reason they need to be opening it up to private enterprise by putting the management of the trekking peaks out to tender, rather than centralising it even more. There is plenty of evidence the NMA has a long-term interest in the development of mountain tourism in a way the government does not. At the time of writing the NMA website still advertises the trekking peaks, and if you are interested in organising an expedition you will find lots of useful information there, including sample itineraries and an interactive brochure with route maps, photos, facts and figures. This kind of marketing doesn’t happen with the expedition peaks, where organisers need to find everything out for themselves. The NMA does other good work in the field. 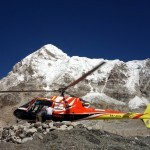 On the day of the earthquake they assisted with the evacuation of the injured from Everest Base Camp, where 18 people lost their lives, and helped with the rescue of those stranded above the Khumbu Icefall in the days that followed. Over the next few months they provided climbing sirdars to the World Food Programme (WFP) to help manage their relief effort to support earthquake victims. This programme provided employment to 15,000 Nepalese at a time when they may otherwise have been deprived of an income. Trails, roads and bridges were rebuilt and thousands of porters carried supplies on foot to remote villages. The NMA’s expertise in expedition logistics was essential to the smooth running of this operation. 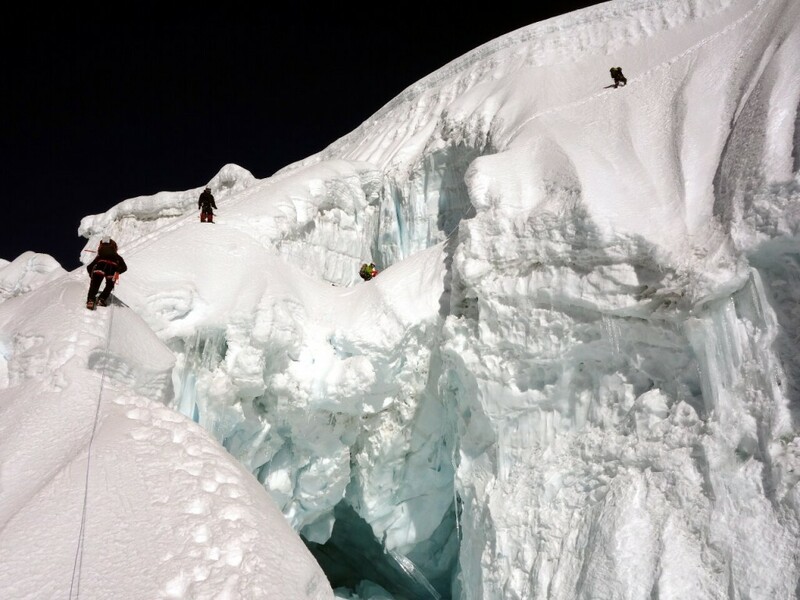 After the 2014 Everest avalanche the NMA set up a disaster relief fund to provide support to the families of mountaineering workers killed or injured in the course of duty. They conduct regular mountain clean-up campaigns, and provide climbing and mountain leadership training for Nepalese nationals working in the tourism industry. All of these initiatives are now in jeopardy. By contrast Nepal’s tourism ministry – like the rest of its government – is a moving conveyor belt of officials who are not in office long enough to have anything but their own short-term interests at heart. Corruption is endemic, and nobody knows how much of their permit fee gets reinvested in mountain tourism and how much disappears into the pockets of dishonest officials. The long parade of Everest announcements which arrive to great media fanfare then never get implemented is testament to the government’s inability to do anything constructive with tourism dollars. Nepal’s government has bigger things to worry about at the moment. A disagreement with Madhesi militants in the far south has led to a border blockade which is bringing the country to its knees. Many people suspect the government of India is involved. There are families still in temporary shelters after the April earthquake; the fuel shortage means that aid programmes are grinding to a halt, and hospitals are running out of basic medical supplies. If this situation continues then pretty soon airlines will no longer be flying to Kathmandu and there won’t be any tourism. The announcement about trekking peaks demonstrates that tourism isn’t really a priority for government officials. If it is, they would be delegating more responsibility to experienced staff at the NMA by giving them more peaks to manage and increasing their budget instead of crippling it. The full impact of this change remains to be seen. Are trekking peaks dead, and have they now become expedition peaks? How effective will the NMA be now they are more dependent on the caprice of government officials? I’m yearning to return to Nepal in the spring and climb some smaller peaks on a long remote trek. But how easy will it be? 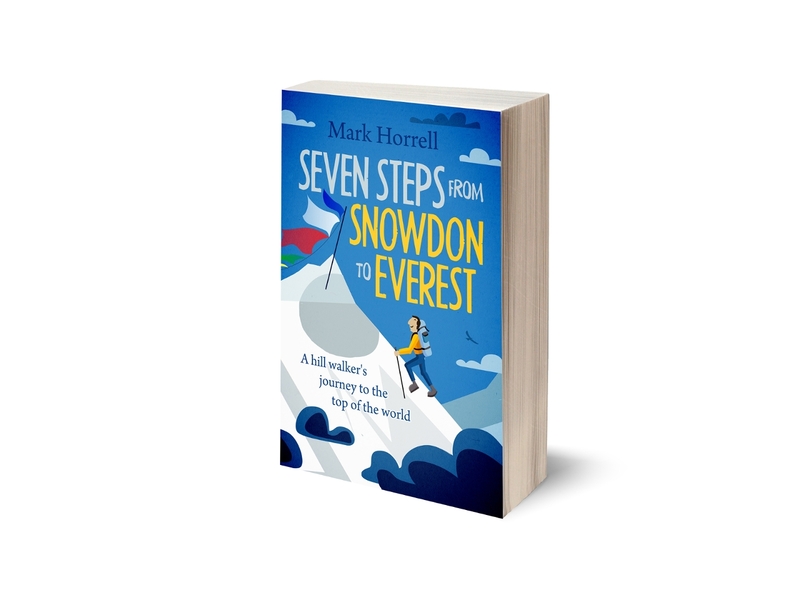 My book Seven Steps from Snowdon to Everest, about my ten year journey from hill walker to Everest climber, was published last week. An important part of the journey was my ascent of Mera Peak with a commercial team in 2004. See my book page for a list of stores where you can buy it. You can also whet your appetite by reading the complete prologue from the book here. 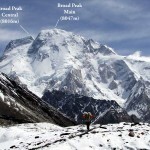 I found organising an expedition to an unclimbed 6400+m Expedition Peak easier than a listed Trekking Peak. With no LO needed, and using a head porter as ‘Sirdar’, who did not stay with us, it was cheaper and more convenient than having the $500 Trekking Peak fee + Sirdar. Depending on the peak and the season, there were several suitable Expedition Peaks like this that I think were far better than any ‘Trekking Peak’ in terms of convenience and value, plus they were unclimbed and uncrowded. It’s a bizarre system – irrational & self-defeating – but there have always been ways to work through it. The term ‘Trekking Peaks’ was always a misnomer as the easiest peaks require glacier travel and cramponning a short, steep section or two, but I think the original intention was good. There are plenty of easier peaks in Nepal that are more truly ‘trekking’ climbs, particularly in Mustang and Dolpo. Having climbs like Kusum Kanguru, Cholatse etc in the TP category has been practically irrelevant. It might have been better to add easier peaks to the TP category and let the harder ones fall back into Expedition Peaks, if overall numbers were a management issue(?). That they don’t do this type of thing – opening up truly suitable peaks, rather than listing and promoting inappropriately named high ridge-bumps or minor dirt hills – speaks to the ineptitude and ignorance within the Nepalese bureaucracy, both government and commercial. I don’t disagree with your comments about corruption in the Nepal MoT but as you know the whole place is in chaos and I’m not as confident as you are in extolling the virtues of the NMA either. There was a clear conflict of interest in Ang Tshering being head of such a body while simultaneously head of the largest(?) expedition company – Asian Trekking. That is not to accuse Ang Tshering of any wrongdoing, just to say it’s been a recognised issue. I wonder if there are not interpersonal machinations going on in this vein, behind the scenes? I agree with you (for a change 😉 ) that the choice of peaks has always been a bit strange. The same applies to the 104 new peaks that were announced a year or two ago. It makes you wonder how they are chosen. The NMA, with its network of climbing sirdars, is in a good position to eyeball and assess many peaks in Nepal, and ensure a great selection on both lists. I also agree with your definition of what a trekking peak ought to be. An example is Dhampus Peak, a good beginner’s peak, just over 6000m, directly on the Dhaulagiri Circuit trek. It boosts the appeal of the Dhaulagiri Circuit to more adventurous trekkers, and yet it has always been an expedition peak. It’s interesting what you say about expedition peaks under 6500m being easier to apply for. I’ve had different feedback from local agents, but then I have never applied directly and have always used an agent. You are right to point out the head of the NMA is also a major operator, but for me this underlines the difficulties applying standards of the developed world to a country like Nepal. In the West we are able to pay experienced people competitive salaries to tempt them from business and ensure their independence. In Nepal I don’t know whether it would be possible to stop an individual with sufficient authority and experience for this role from having business interests in the tourism industry. Nepal’s political system currently has very few safeguards against corruption. Until it does, Nepal needs people like Ang Tshering to play an active role in the management of the tourism industry. I’m not in a position to say for sure there is no corruption within the NMA as we define it, but I believe they are a world apart from the Ministry of Tourism in their ability to get things done for the common good and long-term benefit of mountain tourism, and part of that must be down to its leadership. I served for a term on the NMA executive board and there were certainly others on the board who were fishing for personal and financial benefit. However, on the 25 member executive board, there are enough genuine stakeholders who have a vested interest in the health of the mountaineering industry, and they would keep these ‘outliers’ in check, so financial corruption is pretty difficult to commit inside the NMA (though sadly never impossible). What NMA has always suffered from very badly is the crippling effects of the overt interference of political parties in its affairs. The clashing of board members on any given issue, makes it slow to reach consensus and implement progressive decisions. This is where my father, Ang Tshering, plays such a crucial role. Ang Tshering is neutral with no personal ties to any political parties. Other than being an encyclopedia on himalayan mountaineering, the reason he is voted in by majority each time (this is now his third term) is because he is fair, honest and committed to his responsibilities. Most importantly, if you have ever met him, you will know that he doesn’t have an ego. This has allowed him to be very effective in bringing people together and to move them towards a progressive goal. Certainly a world apart from the Government. Only my family and I know the true cost of what NMA has done to his health and to our business. He spends all his waking hours obsessing about mountaineering policies & affairs and has far too many sleepless nights at that. To my great frustration, I have had to foot too many of his NMA travel expenses from our personal account. We have lost too many business opportunities simply because he allows NMA to monopolize all his time. As you can imagine, he has been on overdrive since the earthquake and the recent move by the government has certainly not done him any favors. I have asked him many times to step back from an executive role to an advisory role, which is where he stumps me with a simple question; “If I don’t do it, who will?” Everything you have mentioned as the good work of NMA, is because of him. So, if he is not there who will fight for the reduction of permit fees? ; Who will fight to open new peaks for climbing? ; Who will ensure that the money collected from the permits are spent in the right place? ; Who will make sure that the widows of dead climbers will be looked after and their children will get an education? ; Who will make sure that training programs continue smoothly and are accessible to all? ; Who will read every mountaineering journal, ever government doctrine and every expert white paper to educate himself on every issue from new climbing routes to environmental degradation? ; Who will put up on the NMA website all the information, data and photographs gained over a 42 year career to benefit everyone in the industry? ; Who will spend their own money to fly around the world to talk about glacial melting? ; Who will repeatedly meet minister after minister and bureaucrat after bureaucrat, for any small inch of gain that can be claimed in the name mountaineering? Until someone can give me an answer to his question, I have no argument to stand up against him. At the very least though- like you brought up- wouldn’t it be great if he was at least paid for doing all this. Thanks, Dawa. Heartfelt and articulate. I heard much good feedback about both your father and the NMA’s role in general from my partner when she was working for the WFP’s response in Kathmandu back in the spring. Thanks also for sharing an insider’s insight into the workings of the NMA. Thanks Mark, got a little carried away as I started writing that 🙂 Anyways, lets hope that the government decides to reverse its decision, otherwise it really will be the death of trekking peaks. I have already heard from many operators this season that they had to operate trekking peaks without permits because the change in policy mid season meant that they could not charge clients extra to pay for the additional fees (mainly surrounding higher insurance premiums) and ran the risk of cancellations, when they needed the business more than ever. That’s not a situation the operators want to be in, nor one that is of any benefit to the government. No shame in getting carried away; I’d like to think I’d do the same for my own father. It’s enlightening to hear a little more about what goes on behind the scenes and good to be reminded that there are people fighting to ensure the money we spend is used ethically. I hear the trekking peak permit prices are uncertain and becoming higher, yet the NMA and TAAN websites clearly state the permit costs. Are they accurate? Is the speculation about the price a concern about an imminent or potential announcement from the government? It looks as though management has already changed hands to the government, but what has actually changed at the present time? A very very good analyse of the situation of the NMA peak… We have put a link of it in an article in French about the new rule of the royalties.